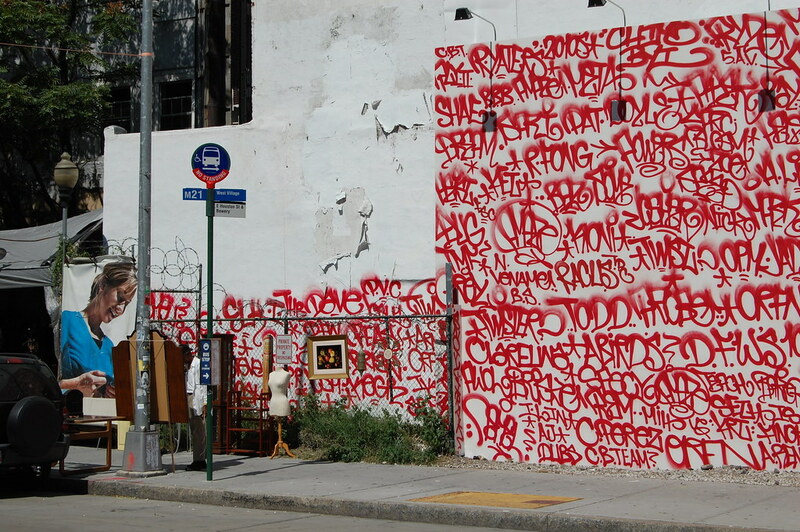 Explaining the piece, Gordon said: “It was an accurate and honest statement, but it was full of mistakes (like forgetting the names of some friends), so there were some embarrassing elements in the work.” McGee and Lozcano must also have had similar fears, particularly since they listed a much smaller group of names and limited themselves solely to graffiti artists. 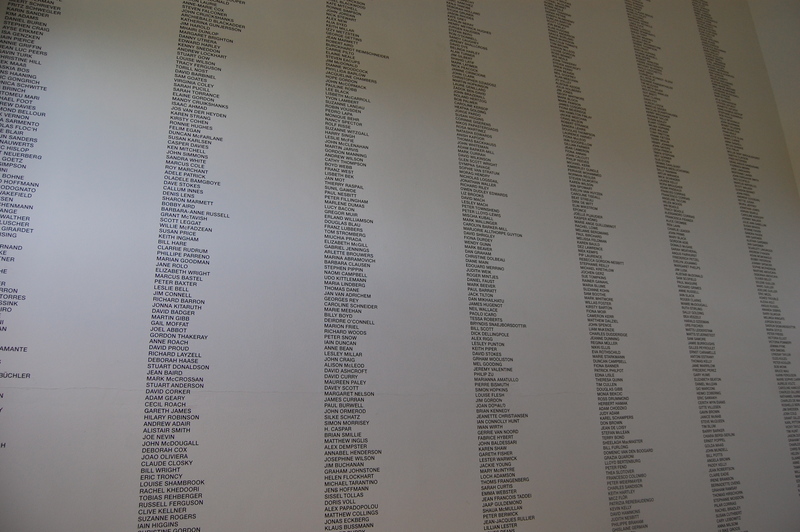 When Mary Beth Edelson assembled a similar list of 69 artists for her 1972 collage Some Living American Women Artists (now on view in curator Roxana Marcoci’s remarkable “Pictures by Women” exhibition at MoMA), she had some time to think it through, but McGee and Lozacano fired off their work in a single night. Jumping back a few decades: the mural stands as a direct opposite of Francis Picabia’s L'Oeil cacodylate, 1921. In that work, Picabia invited about 50 friends to scrawl notes on and sign a large canvas when they came to visit him as he recovered from an eye illness, handing over control of the work to other artists. 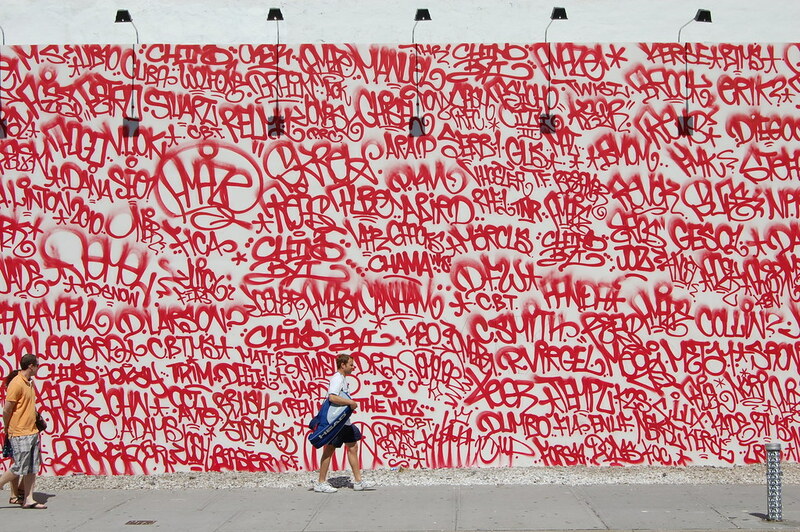 In their mural, McGee and Lozcano function as artists but also as curators. 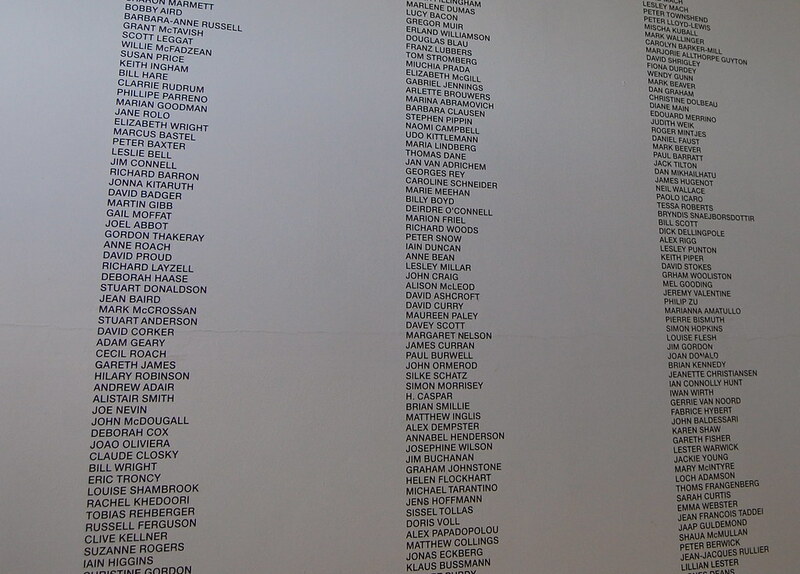 Rather than inviting artists to tag the wall, they handpicked the people they wanted to memorialize, enacting the way in which modern and contemporary museums have generally dealt with so-called street artists like them: selecting a minute number of people (like Fairey and, of course, McGee) to serve as token exemplars of a a much larger movement. 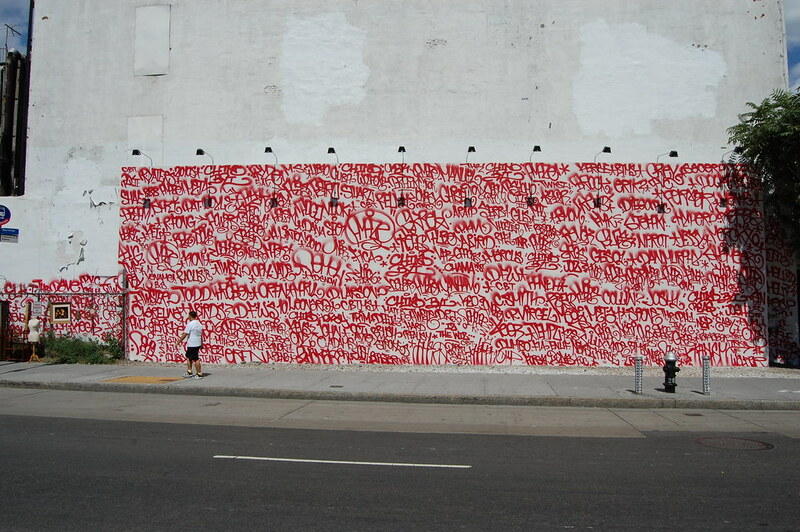 Now I am just hoping that someone writes a complete guide to the mural, explaining the origin of each tag and showing examples of each artist's work.